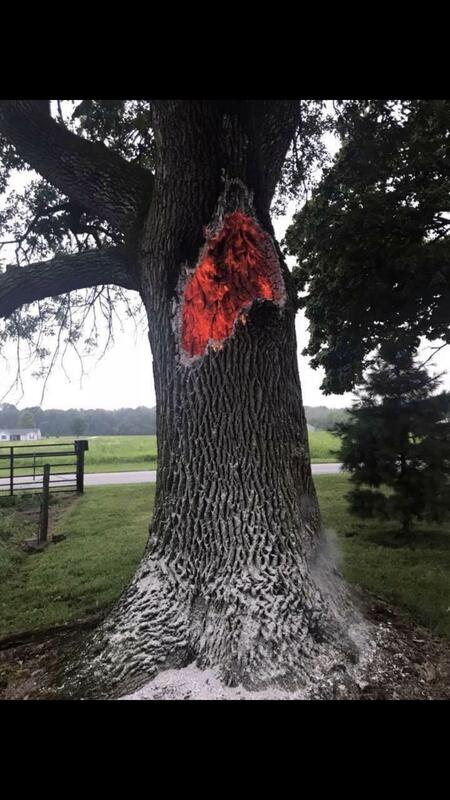 Tree burning from inside out after being struck by lightning. Tree burning from inside out after having been struck by lightning. 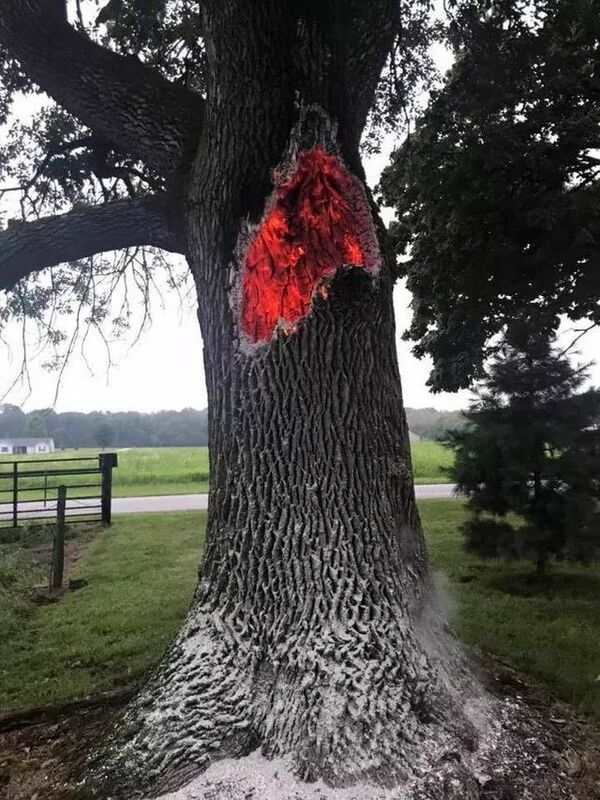 🔥 Tree struck by lightning and burning within its trunk.